This package originally contained 6 S.185's (3xblack, one each Blue, Grey, Green). Prices rose rapidly at the end of the 40's, and in the first two years of the next decade, with the retail price of a S.185 peaking at 39/-. 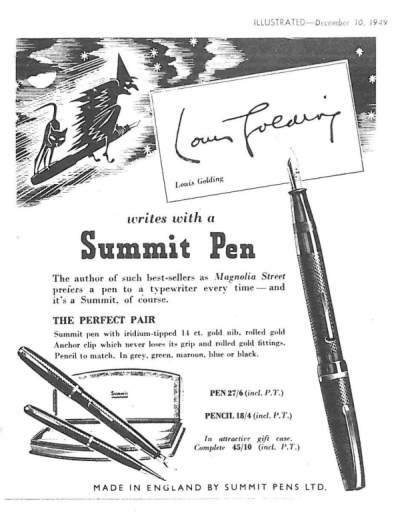 However from the end of 1952, with the company finances being squeezed, prices across the product range were slashed. 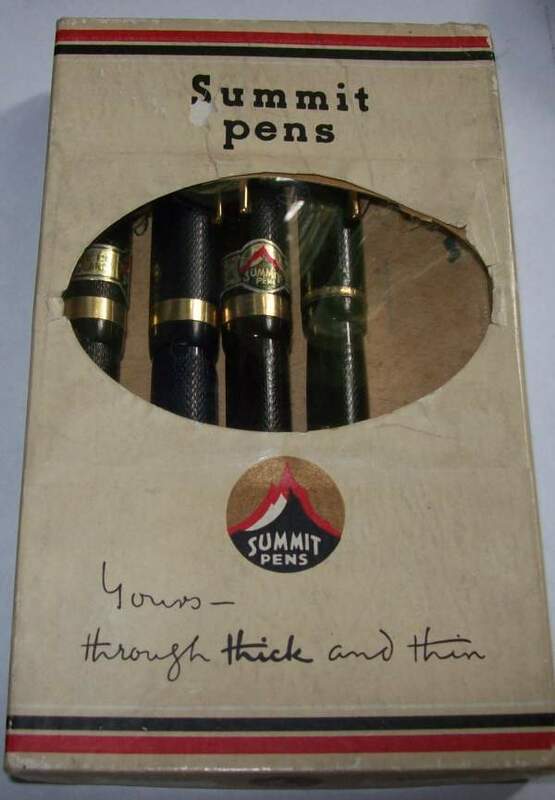 The pens above date from 1953, and show a price of 30/- (£1.50, less than half the cost of a Parker 51).